Swiss watch industry has also experienced a prolonged slowdown, aggravated by the sluggish global economy, rise of wearables and the stagnation in China. Over 100 years, BaselWorld has evolved as the world’s biggest watch fair, the Paris Fashion Week of watches, you might say. It has introduced the world to icons like the Rolex Daytona, TAG Heuer Carrera, Audemars Piguet Royal Oak, and Patek Philippe Nautilus, to name a few—each a landmark timepiece. But the Swiss watch industry has also experienced a prolonged slowdown, aggravated by the sluggish global economy, rise of wearables and the stagnation in China. Exports stood at 19.9 billion Swiss francs (around Rs1.3 trillion now) in 2017, up 2.7% from 2016, but far from the 22 billion Swiss francs in 2014. This, in turn, has raised doubts over the importance of BaselWorld. The Astronomia Maestro complements Jacob & Co.’s gravitational triple-axis tourbillon movement with a minute-repeater carillon. Imagine church bells ringing on your wrist. The Astronomia Maestro complements Jacob & Co.’s gravitational triple-axis tourbillon movement with a minute-repeater carillon. Its three gongs produce a melodious do-re-mi effect, while the stunning space elements include a miniature floating astronaut. Limited edition of 18 timepieces. 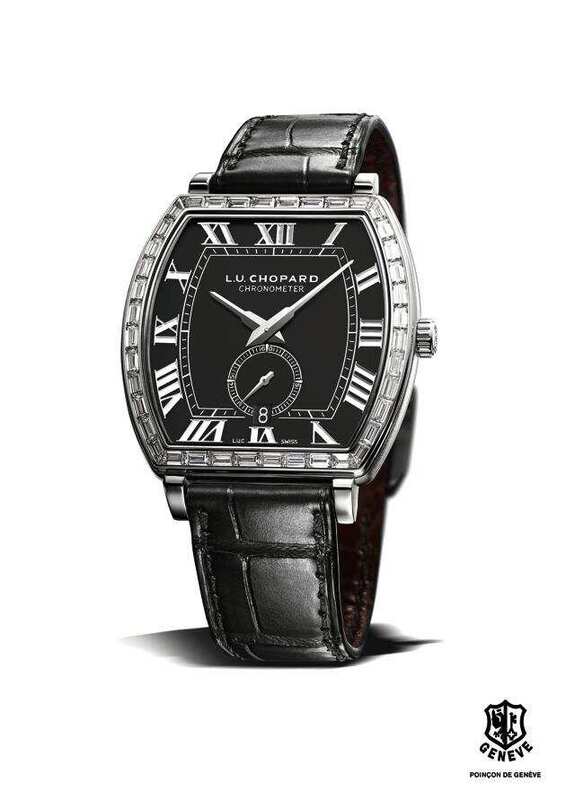 The black lacquered dial, punctuated by Roman numerals and railway track-type minute markers, evokes a sense of calm amidst the bling. Following 2017’s rose-gold version, Chopard has reinterpreted the L.U.C Heritage Grand Cru with 18-carat white gold and 40 baguette-cut diamonds. The black lacquered dial, punctuated by Roman numerals and railway track-type minute markers, evokes a sense of calm amidst the bling. Since its debut in 1976, the Nautilus line has evolved into a whole collection. Since its debut in 1976, the Nautilus line has evolved into a whole collection. This year Patek launched its first perpetual calendar, making the timepiece the firm’s first “grand complication" packed inside an 18-carat white gold case, merely 8.42mm thick and 40mm in diameter. 2,156. That is the number of diamonds in this watch. 2,156. That is the number of diamonds in this watch. There are also 76 rubies. The Giberg Niura simply takes your breath away. It’s an ode to the age when jewellery and art fused seamlessly with haute horlogerie. Powered by a specific double-barrel flying tourbillon, the watch has a power reserve of 72 hours. Powered by the Unico HUB 1242 column-wheel chronograph, the watch has a power reserve of 72 hours—only 500 of them are available globally. It is difficult to take your eyes off this watch. 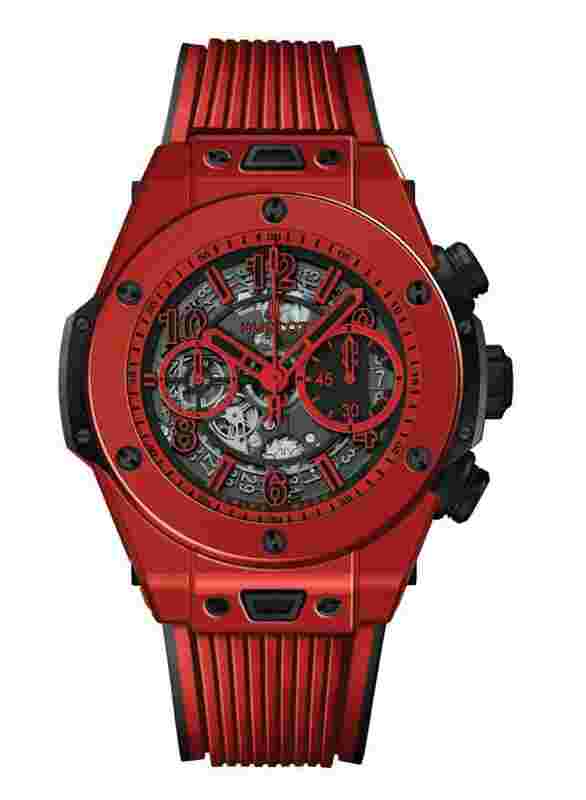 The Big Bang Unico chronograph has a bright-red ceramic case, a material that debuted on the bezel of the Hublot’s Ferrari Unico Carbon Red Ceramic, and has taken four years to be produced as a case. Powered by the Unico HUB 1242 column-wheel chronograph, the watch has a power reserve of 72 hours—only 500 of them are available globally. Powered by Rolex’s in-house calibre 4130, the watch offers 72 hours of power reserve. And at 40mm diameter, it is the perfect unisex size. 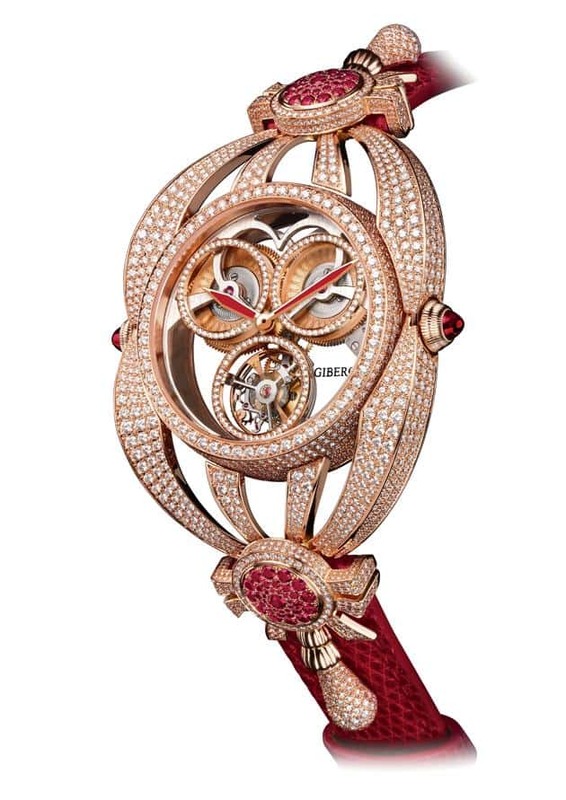 A rainbow of a watch, this one comes in 18-carat Everose gold, adorned with 56 diamonds set into the lugs, and crown guard, and 36 coloured baguette-cut sapphires arranged in a rainbow gradient on the bezel. Another 11 are used as hour markers. Powered by Rolex’s in-house calibre 4130, the watch offers 72 hours of power reserve. And at 40mm diameter, it is the perfect unisex size.